Paris Saint-Germain goalkeeper Alphonse Areola has emerged as a surprise target for Chelsea ahead of the summer transfer window. 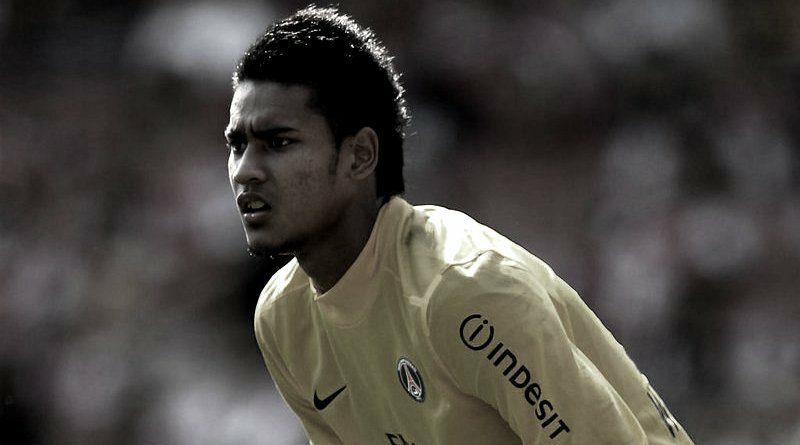 According to the football transfer rumours in French Media, Chelsea are eyeing move for Paris Saint-Germain goalkeeper Alphonse Areola. The France international has joined Paris Saint-Germain in 2006. The 24-year-old has a valid contract with Paris Saint-Germain until June 2019. Alphonse Areola has conceded 22 goals and provided 14 clean sheets in 31 games for Paris Saint-Germain in all competitions. The 24-year-old is considered to be one of the best goalkeepers in France. Alphonse Areola has represented France at Under-16, Under-17, Under-18, Under-19, Under-20 and Under-21 level, winning 61 caps. Antonio Conte has always been a manager who keeps his eyes on the most talented young players across the globe. The France international is thought to perfectly fit the profile of goalkeeper Antonio Conte wants to target in the summer transfer window. Euro Football Rumours understood that Chelsea are preparing an offer for the France international. According to the rumours in France, Antonio Conte want Alphonse Areola to replace Asmir Begovic, who has completed a deal with Bournemouth. How strong that interest is and whether Chelsea will make a summer move remains to be seen but it is certainly one worth keeping an eye on.